Have no fear! Nanny Connie is here with all the solutions you need for every baby-care dilemma from comforting a colicky infant to trying to breastfeed in public. Her sweet and sassy drawl will reassure you that everything will be fine, as she guides you with her God-given wisdom, larger-than-life compassion, and three decades worth of experience and patience. Connie, """"quite simply one of the greatest humans on this planet"""" (Emily Blunt) and a mother herself, comes from many generations of strong women with loads of experience in mothering, midwifery, and Southern values. 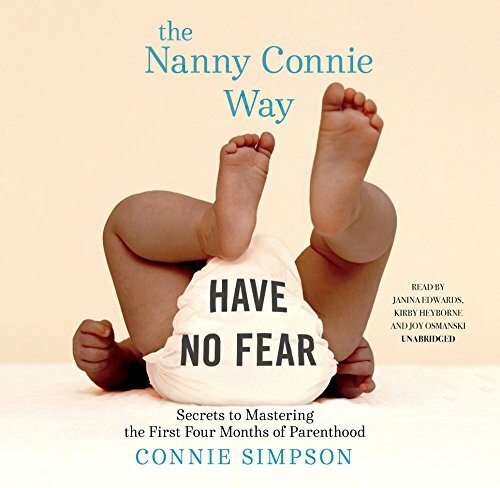 Broken into three easy-to-follow sections (pre-baby arrangements, that immediate post-birth glow, and the first four months of the rest of your life), The Nanny Connie Way is your go-to, first-time-parent-proof baby manual that will give you not only the guidance you crave, but also the confidence to be the best parent you can be. If you have any questions about this product by Simon & Schuster Audio and Blackstone Audio, contact us by completing and submitting the form below. If you are looking for a specif part number, please include it with your message.